The instant New York Times bestseller is "astonishing...In one novel, Miranda July tells us more about our universal need to be loved, and our ability to love and be loved, than most earthbound authors will in a lifetime" (Vanity Fair). 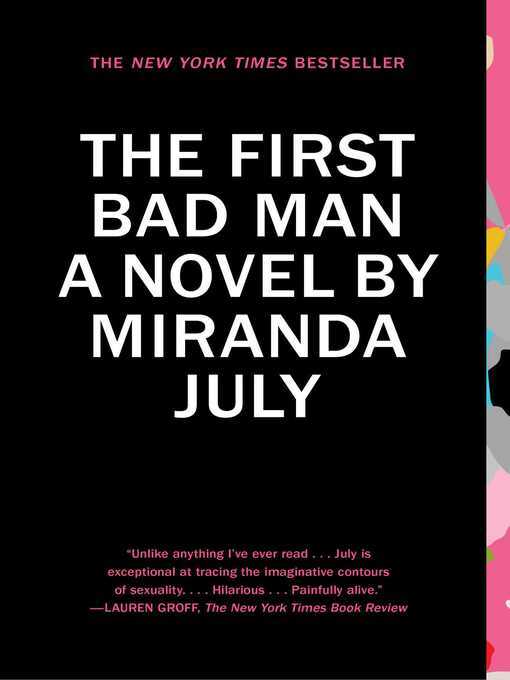 In The First Bad Man, Miranda July tells the story of Cheryl, a vulnerable, uptight woman in her early forties who lives alone, with a perpetual lump in her throat, unable to cry. Cheryl is haunted by a baby boy she met when she was six; she also believes she has a profound connection with Phillip, a philandering board member at Open Palm, the women's self-defense studio where she has worked for twenty years. When Cheryl's bosses ask if their twenty-one-year-old daughter Clee can move into her house for a little while, Cheryl's eccentrically ordered world explodes. And yet it is Clee—the selfish, cruel blond bombshell—who teaches Cheryl what it means to love and be loved and, inadvertently, provides the solace of a lifetime. "Brilliant, hilarious, irreverent, piercing—The First Bad Man powers past sexual boundaries and gender identification into the surprising galaxy of primal connection" (O, The Oprah Magazine).